Provides real and useful ideas and tools! Provides advanced tools to avoid errors or failure in research! Makes all subjects easier to study! The second course every literate student age 11-up should do! My daughter is now 12 and her ability to do research, to evaluate useful sources and sift through the millions of bits of data available online for factual information has increased dramatically. No longer do I hear her complain, “But I don’t know where to find it!” She knows exactly which resources will be the most help for the specific project. The lessons are clear and to the point, guiding but not leading the student by the hand. In the end, the student will know how to begin their research project and spend more time doing research instead of wondering which source is better. They will already know. I love the way these courses focus on the student being in control of their own work. As a parent, I will not always be there to help her find things. This is one more useful life skill she now has. Thanks for a great product! STEP 4 Advanced How To Do Research is a critical Study & Life Skills course for students ages 11-adult. In nine lessons, it provides the student with skills that they must have to survive advanced studies. The course covers everything from a full use of books, libraries, newspapers, magazines and the Internet, to more advanced methods one may use to locate needed info. A person might spend thousands of hours doing research during their life. This can feel like a punishment if one does not know how to do research. 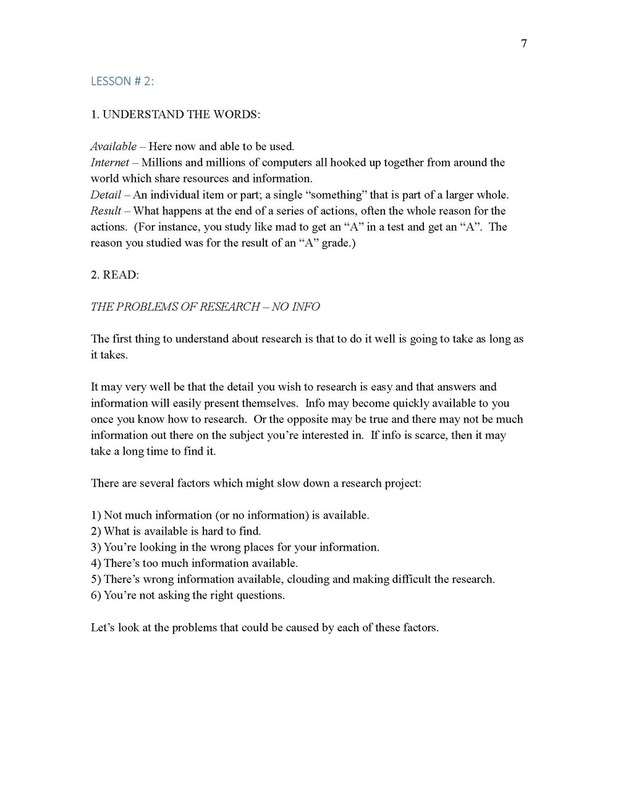 Step 4 Advanced How To Do Research goes a long way toward remedying that problem! The Step 4 course also extensively locates and thoroughly covers the six most troubling problems a student is liable to encounter while doing research...and how to conquer them! 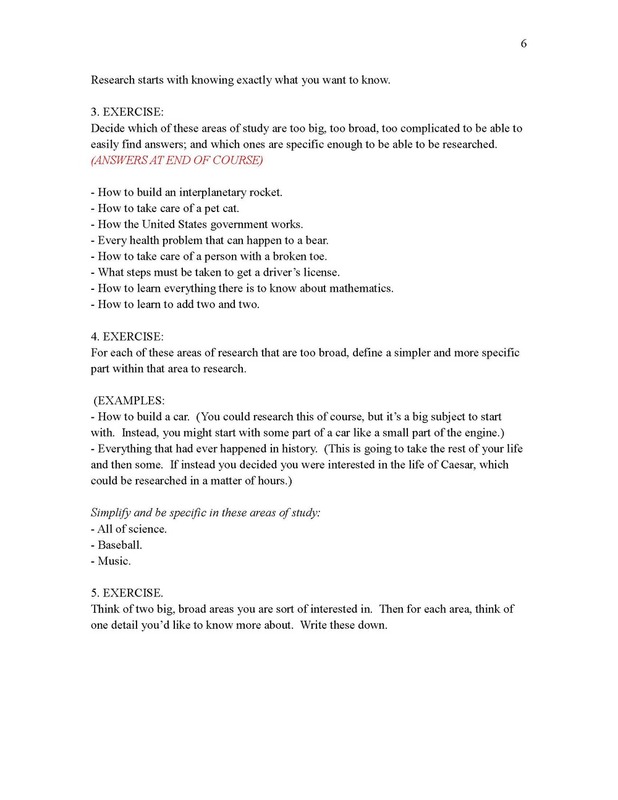 If your student did Step 3 How to Do Research, they will still need to do this Step 4 course as it provides more tools and understandings regarding how to do research with success. This course should be done after the student does our free course - How To Do STEPS Courses Course. Then, Information - Right Or Wrong. This can then be followed by starting general studies such as history and science. Nine lesson plans, two tests and answer guides. 8-20 hours of work. My kids really learned how to find and evaluate source materials for their research projects using this course. Recommended! Kimberly B.